The next generation of hard drives for home or small office network attached storage systems. Our formula of success has led growth of WD Red into higher capacities and expansion into new 2.5-inch solutions. We now offer a broader, more comprehensive portfolio of NAS hard drives for our customers. It is not just about NAS drives, it is REDvolutionary..
With superior technology that is driven to impress, WD Red is a reflection of the most extensive NAS partner compatibility-testing list that is available on the market. * That means when you buy a NAS enclosure, you can trust that WD Red will be the most compatible drive available. Our pride is in our product and our vision is shared with our customers. *Data reflects products in production as of August 2013. 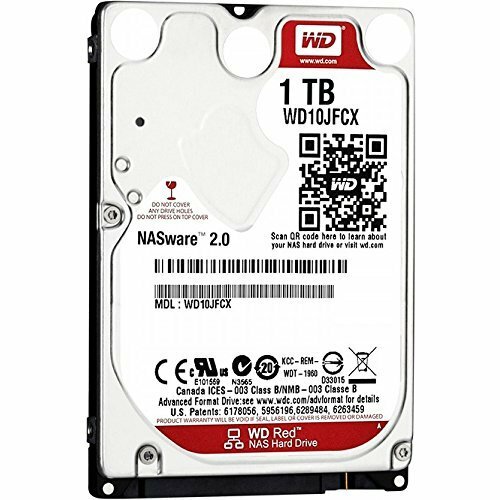 Our exclusive technology, NASware 2.0, makes WD Red thrive in the demanding small-NAS environment. By adding WD Red to your NAS system, not only is everything more efficient and reliable, you can better protect your data investment. Since your NAS system is always on, a highly reliable drive is essential. With a 35% MTBF improvement over standard drives, the WD Red drive with NASware 2.0 is designed for the 24x7 environment. WD's next-generation NASware 2.0 technology improves NAS storage performance by reducing common hard drive concerns in NAS systems including concerns for things like compatibility, integration, upgrade ability, reliability and cost of ownership that are experienced with a hard drive designed for desktop computers. **Support outside of normal business hours is available in English only Go to http://support.wd.com for further details. WD puts our products through extensive Functional Integrity Testing (F.I.T.) prior to any product launch. On average, each new product goes through 600,000 hours of testing. WD also has a detailed Knowledge Base with more than 1,000 helpful articles. You can also call toll-free support 7 days per week in the U.S. and Canada. See the WD Support site for full details. WD Acronis TrueImage, available as a free download on the WD Support site, enables you to copy all your data to a new drive so you don't have to reinstall your operating system to get all the benefits of a new drive. All WD drives purchased from Amazon.com are shipped in WD-certified hard drive packaging. It is designed and fully tested to provide WD products with the highest of safety while in transit. With WD-certified packaging, you can rest assured that your WD hard drive will arrive safely, fully protected, in a non-descript, easy-open package. 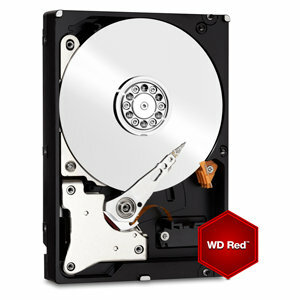 ***WD hard drives are designed and tested for use in specific applications and environments. This ensures that your hard drive is compatible with and functions properly in your application. Our hard drives are warranted against defects in materials and workmanship in the system for which they were designed. Use in systems other than for what the hard drive was designed could result in compatibility problems that affect proper function, unrelated to material and/or workmanship defects. For best results, be sure to select the appropriate product for your application by consulting our product spec sheets on our website at www.wd.com or by calling our customer support line where we would be happy to help you through the selection process. Big capacity for portable computing. Cool, quiet operation with massive capacity. Desktop-class performance for notebook computers. The must have solution for your single-bay PC. The right drive for personal, home or small office NAS. Ideal for Notebooks, external enclosures and certain industrial applications. Custom-built enclosures and other applications that require cool and quiet operation. Notebook computers. Notebooks and all-in-one computers. Personal, home and small office, 1-5 bay NAS systems.